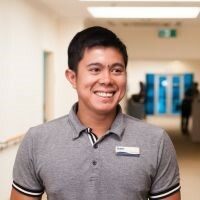 Isser first joined the SwanCare team in 2014 as a carer, before completing his Bachelor of Nursing and becoming a registered nurse with us in 2015. Isser continues to grow in his role, building on the experience he gained in the Philippines working within operating theatres. But at the end of the day, his key motivation comes down to helping others. Isser says he has been able to learn more at SwanCare than he could have imagined. Recently attending a three day education and training session through Alzheimer’s Australia WA, Isser was able to grow his knowledge within this important area and bring back valuable skills to help improve the lives of our dementia patients.